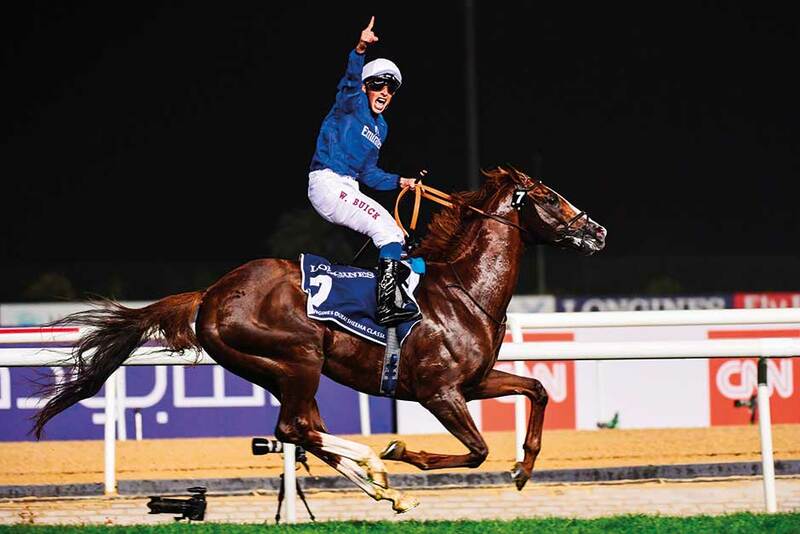 Dubai: A commanding front-running performance from Hawkbill saw Charlie Appleby train his second winner on the night with Godolphin completing a treble. This was run at a more sensible pace and William Buick rode his fractions perfectly. It may not have happened at all as in the stalls at the beginning Hawkbill reared up and got stuck. They had to take him out of the stalls and he passed a vets inspection before being reloaded and the rest as they say is history. In the race itself, he jumped out quickly and took the lead immediately. He settled well and Buick set the race up for himself. Behind him Cloth Of Stars was pulling so hard that he was burning up his chances. All the time Poet’s Word was handy getting a great ride from Frankie Dettori. These three were to remain in these positions right the way to the finish and, when Buick asked the former Eclipse winner to lengthen, he did so nicely. Sir Michael Stoute’s Poet’s Word put down his best challenge but it just was not good enough and he finished a gallant second for owner Saeed Suhail. Hawksbill never got headed and really toughed it out. Despite his strong pulling Cloth Of Stars and Mickael Barzalona ran a huge race to finish third and all these three looks to be exciting prospects for the 2018 European racing season. 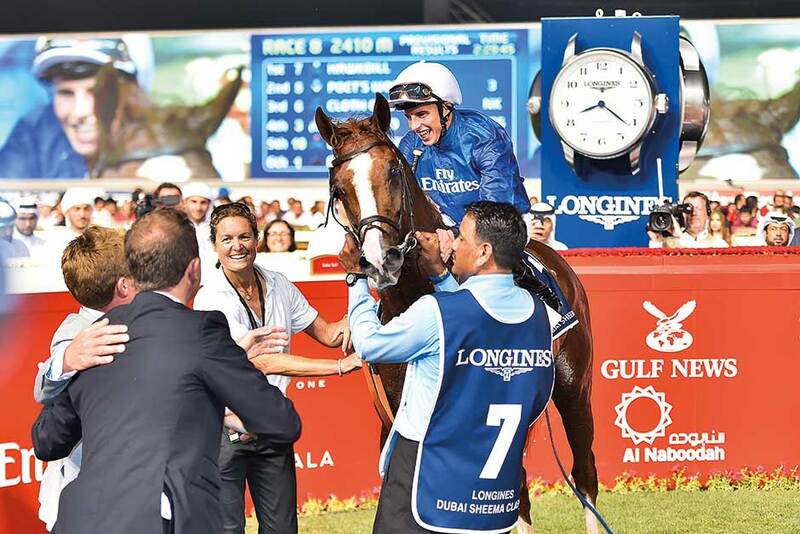 Charlie Appleby was obviously delighted and he said: “Hawkbill has been a model of consistency for myself always said he’s becoming a proper Godolphin horse now and obviously very lucky lots of support. In the gates I thought this isn’t going our way tonight but William has given him a fantastic ride and it’s just great to be a part of this. Jockey Buick added: “He got a bit restless in the gate but he is a ball of energy and very exuberant and he just wanted to get going little bit sooner than the others in the gate. His legs got off the partition but there was no harm done to him or the horse next to him. Thank God there and after that he put up a good performance. He was in a good rhythm and then got the lead and was breathing well. Without a question it was his best performance today. I was not really aware of what was going on behind me but my horse was lovely and relaxed on the lead and he did everything and gave himself every chance. It was very very efficient today. This confirmed a successful night for Godolphin and Buick deserved this win after the disappointment of Blue Point being withdrawn earlier in the evening.